I studied Bachelors of Busines Administration. 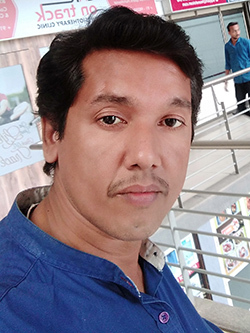 Iam specialised in business development from inception.My hobbies are browsing internet and update current affairs or any related information and writing humour stories , teaching children, engaged in charity activities, social welfare activities. Iam looking for a beautiful partner in body and mind who understands, loves and support me always in ups and. Downs of my life. Sometimes my loneliness she'd tears from my eyes for nothing....... I have a mind to love my partner till my end.